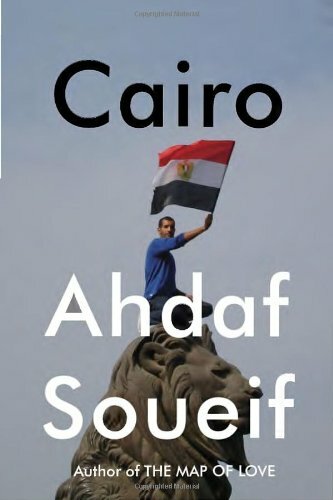 Two years ago, the bestselling Egyptian-born writer Ahdaf Soueif published a minute-by-minute account of the first 18 days of the Arab Spring uprising in her native city of Cairo. Entitled Cairo: My City, Our Revolution it blended her own front-line involvement and hopes, with her childhood memories. Soueif herself acknowledges that it was impossible for her to keep up with ongoing history. In a feeble attempt to do so nevertheless, she has now published an updated and retitled version that adds some 100 pages, or about one-third more to the original slim volume, covering the period from October 2011 to May 2012. The new Cairo: Memoir of a City Transformed brings further strengths and weaknesses to a book that was both gripping and seriously flawed to begin with. As a Westernized writer, once married to the now-deceased British literary critic Ian Hamilton and living equally in England and Egypt, Soueif naturally jumped into the original secular, liberal protest against Egypt’s authoritarian ruler, Hosni Mubarak. Her account thus offers a fascinating behind-the-scenes vantage point, and this revised book provides an opportunity to double back to the original hopes and reflect on her disappointment over the election of Mohamed Morsi of the Muslim Brotherhood as president in June 2012. Of course, even that news update has been overtaken by an even worse development: the military coup that overthrew Morsi in July 2013. Some of the best parts are the down-to-earth details that don’t appear in most newspaper articles, such as her quick stops at home to do her laundry. A more troubling insider revelation is how furiously anti-Israel even the “liberal” protestors and the supposedly Westernized Soueif are. Comparisons with Soueif’s childhood memories layer another dimension onto the modern day story. She recalls, for instance, walking to her grandmother’s house past the “piled-high” toy store along those very same Cairo streets that are now piled high with rocks and barricades. Of course, lagging behind the news is an acknowledged fact of life in book publishing. The problems with Cairo go way beyond that. One small problem is that the book’s structure is confusing. It starts with a section about January–February 2011 from the original version, followed by an insert jumping ahead to October 2011, then back to January and February, and then forward again to October and beyond. Moreover, with sentences like “Abbaseyya was the first cooperation between the military, the Dakhleyya, and the baltagis,” this book desperately needs a glossary. But the biggest problem is Soueif’s blind devotion. Apparently all the protestors whom she meets are noble, brave, generous, patient, and self-sacrificing. Really? “Each and every one” of them? In those entire 18 days, facing brutal attacks from Mubarak’s security forces, no one panics, cries, flees, punches each other, tries to save his skin by turning in someone else, profiteers by selling expensive water, or exhibits any other human trait? That passage is not a rare spurt of enthusiasm. It is the way the entire book is written, without a line of nuance, context, or self-doubt. While a memoir may well encompass a limited and subjective viewpoint, the best memoirists nevertheless have a sharp eye for the details within their limited arena. They include the flaws, the shades of gray, and their own self-doubts. A trustworthy memoirist at Tahrir Square would have noticed the terrified young man huddled against a wall or the doctor who fled rather than treat the masses of wounded. This is not a memoir. It is a political polemic. The real story of Egypt’s spring—and winter—remains to be written by a better observer. Fran Hawthorne is the author of eight books on business and public policy, including The Overloaded Liberal: Shopping, Investing, Parenting and Other Daily Dilemmas in an Age of Political Activism (Beacon Press, 2010) and Inside the FDA: The Business and Politics behind the Drugs We Take and the Food We Eat (John Wiley & Sons, 2005). She has been writing about the nexus of business and social issues for more than 20 years for publications such as The New York Times and Institutional Investor magazine.